Find a vacation home to rent in Ostróda from our list of vacation rental properties. Campaya has over 11 vacation homes available in Ostróda, which give you the possibility to locate a unique accommodation in Ostróda which completes your check-list in search for the perfect self catering vacation apartments in Ostróda or vacation villas in Ostróda. The apartment PMA191 is located in the wonderful Masuria. 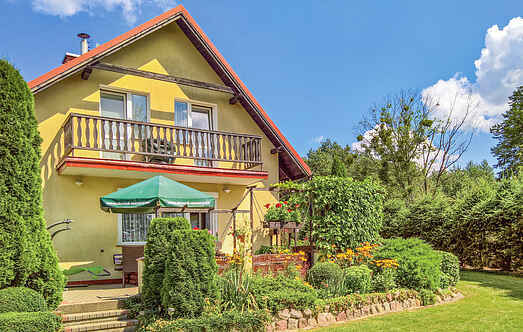 This wooden holiday home on the outskirts of the beautiful town of Ostroda is on a large, shared property. The home is modest but is conveniently furnished. This beautiful home stands on a huge, lush holiday resort on the waterfront. This is an open, natural ground and the home has good furniture. The holiday home is ideal for anglers. With modern furniture House furnished on a shared with neighbors wooded lot. The object is not only modern, but also bright and spacious. PMA102 is a house in the holiday resort called Arizona. The home has modern furniture and is located near a lake. The holiday resort has a private pier. This comfortable and large holiday home is on a fenced property in Waldowo near Ostroda (2 km). The home can accommodate 6 people and is comfortable and convenient with modern furniture. This holiday home with a blend of furnishings is near a lake and is on a shared ground. Take a trip to the holiday resort called Arizona, which is located in Rus Mala. The ground floor apartment is very tastefully and comfortably furnished. It is also a child-friendly apartment. Cozy wooden cottage in place Ruś Mała. It is a non-fenced, wooded grounds. The house is convenient and comfortable furnishings. Guests have a large terrace and exclusive garden furniture. Apartment in the owner's home in Ostróda. The house is on the outskirts, 100 m from the beach. It is possible to rent water equipment. The apartment is functional.